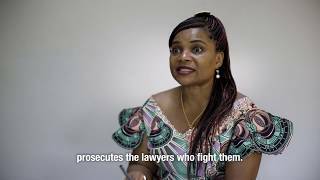 (Geneva, April 9, 2019) – Governments should use an upcoming United Nations review of Equatorial Guinea’s rights record to question the country’s brutal repression of human rights defenders, the political opposition, and others who criticize government abuses and rampant corruption, Human Rights Watch said today in releasing a video about the human rights conditions in the country. Equatorial Guinea will undergo its peer review before the UN Human Rights Council, known as the Universal Periodic Review (UPR), on May 13, 2019. The UPR allows the governments that sit on the council to scrutinize each country’s human rights record every four years and make recommendations for improvement.